We have a substantial track record of working with leading international and national operating companies, design engineering companies, manufacturers and suppliers, insurers and service providers, as well as industry associations and regulators. Risktec has a substantial track record of working for many of the leading companies in the oil, gas, petrochemical and chemical sectors. We have experience of a wide range of facilities across all stages of the lifecycle and a proven track record to meet the challenges the industry faces. In working with us, clients can be assured of responsive, high quality technical support delivered by experienced consultants, tailored to meet specific circumstances. Risktec has a substantial track record of providing nuclear safety, security, licensing and engineering support to nuclear clients in the UK and internationally. We have extensive experience of a wide range of facilities which support all stages of the nuclear fuel lifecycle, with this experience covering the complete lifecycle of these assets, and a proven track record in meeting the challenges of specific projects. In working with us, clients can be assured of responsive, high quality technical support delivered by experienced consultants, tailored to meet specific circumstances. Risktec has a strong track record of working for many leading renewable energy organisations. We have experience across the full spectrum of renewable energy technologies, covering their complete lifecycle, and a proven track record to meet the challenges this industry faces. In working with us, clients can be assured of responsive, high quality technical support delivered by experienced consultants, tailored to meet specific circumstances. Risktec has a substantial track record of providing safety, security, licensing and engineering support to defence clients in the UK and internationally. 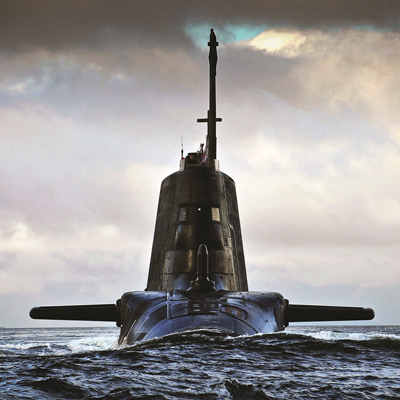 We have extensive experience of a wide range of defence markets including nuclear submarines, dockyards, naval bases and specialist facilities. This experience covers the complete lifecycle of these assets, as well as a proven track record in meeting the challenges of specific projects. In working with us, clients can be assured of responsive, high quality technical support delivered by experienced consultants, tailored to meet specific circumstances. Risktec has a substantial track record of providing risk and safety management services across transportation sectors including rail, aviation and maritime. Risktec has a substantial track record of providing system safety and assurance services to support the development and upgrade of rail transportation systems in the UK and internationally. We have experience across a wide range of systems throughout all stages of the system lifecycle and a proven track record meeting the challenges of specific projects. In working with us, clients can be assured of responsive, high quality technical support delivered by experienced consultants, tailored to meet specific circumstances. Risktec has considerable experience in providing risk and safety management services across the aviation sector, including fixed wing aircraft, helicopters and unmanned aerial vehicles, as well as ground infrastructure such as airports and air traffic control. We have experience across a wide range of systems throughout all stages of the system lifecycle and a proven track record meeting the challenges of specific projects. In working with us, clients can be assured of responsive, high quality technical support delivered by experienced consultants, tailored to meet specific circumstances. Risktec has a substantial track record of providing risk and safety management services for shipping, ports and marine sectors. In working with us, clients can be assured of responsive, high quality technical support delivered by experienced consultants, tailored to meet specific circumstances. Risktec has a substantial track record of providing risk and safety management services for fixed wing aircraft, helicopters and unmanned aerial vehicles, as well as ground infrastructure such as airports and air traffic control. In working with us, clients can be assured of responsive, high quality technical support delivered by experienced consultants, tailored to meet specific circumstances. We are delighted to receive consistently high levels of client satisfaction. See our client satisfaction page for the latest results. Have you received good value from Risktec compared to other consultants? Digitalisation can make things simpler and safer but the associated threats must also be managed, whether cyber-attack, failure of smart sensors, or unethical automated decision making. We are actively recruiting across all areas of our business. We always welcome direct applications, treated in strict confidence, as well as engaging with anyone interested in helping to grow the company. Innovative and fun ways of helping to make learning stick, by delivering a serious message in a high impact and memorable way. This 4 day course covers the fundamentals of PSM, including hazard identification and risk analysis. Our next distance learning MSc in Risk and Safety Management, awarded by Liverpool John Moores University, starts on 1st June 2019. We believe in sharing our expertise and knowledge with clients. Feel free to browse our extensive Knowledge Bank of technical articles, presentations and talks. Register to download our Risktec Essentials guides, which cover specialist topics in depth. Share your favourite articles with friends and colleagues. We debunk four common 'myths' or misconceptions about the ALARP principle by portraying the reality of a good ALARP justification. Investigations into recent major accidents all highlight the importance of effective leadership in preventing disasters in the major hazard industries. The purpose of AIM is to say with confidence, based on the evidence, that "our assets are safe, reliable and efficient, and we know it." RISKworld is our regular newsletter packed full of informative, cutting-edge articles on safety and risk management. In this issue we look at functional safety and cyber-security. Other articles cover higher risk residential buildings, carbon capture and storage, and risk management for innovative technologies. This edition spotlights asset integrity management topics, including vendor inspection, risk-based inspection and reliability, availability and maintainability assessment, as well as considering the benefits of e-safety cases and the implications of using COTS wireless devices. Articles cover crisis management, utilising available data for ship collision risk assessment, and the opportunities and threats posed by digitalisation. We also unveil a new UK apprenticeship in risk and safety management, and open our eyes to fatigue risk management. Risktec has its principal office in Warrington (UK), with other offices in key locations across Europe, the Middle East, South East Asia and North America. Our activities are supported by a comprehensive network of TÜV Rheinland offices and local representatives in other regions of the world. Our intention is to be close to our clients. Please contact us via your nearest office, or use one of the forms on this website.